Keeping your aura well-cleansed and maintained can keep your spiritual, emotional, and mental well-being at the top of its game. While you may have heard that auras can only be maintained by special spiritual experts or shamans, that simply isn’t true. In fact, you may want to cleanse your aura weekly or even daily, and you can do it yourself. 1 What Is an Aura? 2 Why Do You Need to Cleanse Your Aura? Your aura is your energy force. It surrounds you wholly, either magnetizing or repelling the energy, psychic baggage, and emotions from the other beings around you. You know how you are constantly exchanging germs all day without realizing it? The same goes for energy. In this same way, your aura can be affected by those around you and situations happening in proximity to you. The state of your aura creates a certain perspective that affects the way you experience the world. Why Do You Need to Cleanse Your Aura? 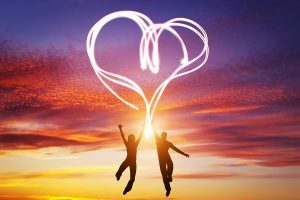 Since your aura acts as a kind of filter on your life experience, you obviously want to do all you can to ensure that filter is a positive one. When your auric field, the area in which your aura resides, is healthy, cleansed and strong, you feel energized by the world, aligned spiritually, and positive in your general outlook. On the other hand, when it becomes stressed, cluttered with psychic debris, or muddled by the outside world, you can feel anxious, lethargic, weak, off-kilter, and overall more negative. When you are faced with a stressed auric field, the only thing to do to restart and get back to a healthy auric state is by cleansing your aura thoroughly. Cleansing your aura is not something you need to pay for or have done by a professional – it is something free or cheap and easy to do in the comfort of your own home. You may already have the simple tools needed to cleanse your aura right in your house! 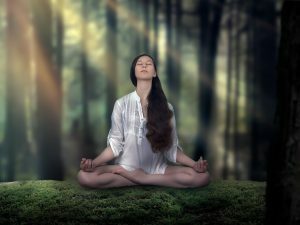 Let’s explore the main techniques to cleanse your aura. 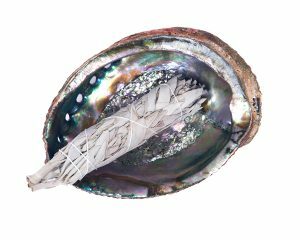 Smudging might be the most popular method of aura cleansing in the modern day. Smudging is the burning of sacred herbs, which help to cleanse the energy of a certain space. When smudging to cleanse your aura, the smoke is used to cleanse the auric field space in which your aura resides. There are even more smudge herbs that help to cleanse the aura! Simply do your research to find the herb with the healing or cleansing properties you are looking for. Any old bath will not do the trick of cleansing your aura. It must be what is called either a Goddess Bath or a Psychic Bath, which combines the powers of sacred herbs, salts, flowers, or oils to cleanse your auric field. The third best technique to properly cleanse your aura is by deeply immersing yourself in nature. Nature is abounding with natural healing flowers, herbs, minerals, crystals, scents, and materials. Simply disconnecting yourself from electricity and any electromagnetic energy and completely immersing yourself in a natural environment will cleanse your auric field of toxins and restore it back to its positive state. The best thing about this technique is that it requires very little preparation. All it takes is time, dedication to the cleanse, deep breaths, and some direct contact with the outside world. Perhaps you will take a walk deep in a forest, or maybe you’ll take a solo swim in a lake or hot spring. By actively connecting with your natural environment, your aura will automatically begin to heal. While enjoying this natural escape, try to get as close to the earth as you possibly can, whether that means hugging a tree, smelling flowers, walking barefoot, or meditating in an energizing location. Try to enhance your connectedness to the energy field that is all around you, and you will be surprised at how much lighter and healthier you will feel.